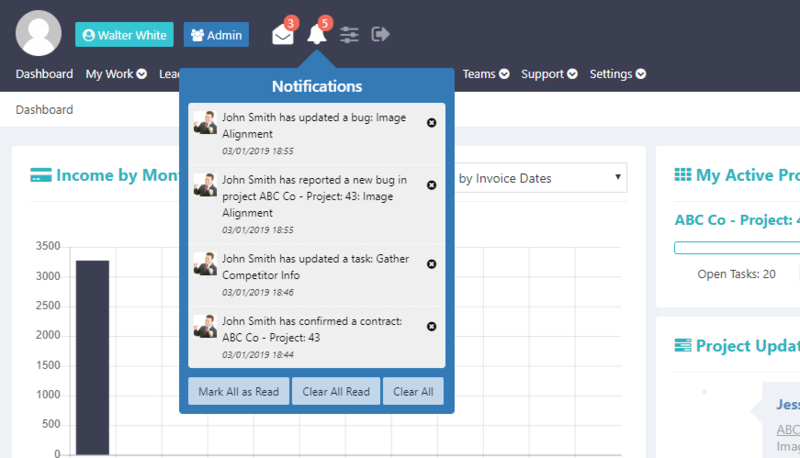 Projectopia 4.1 brings a new notifications system which makes it easier for team members to ascertain which items have been updated and to provide a direct link to that item. Every time an item (eg. Task, Support Ticket etc) is updated that is related to the team member, it adds a new notification to the dashboard. To see your notifications, click the Bell icon in the dashboard.